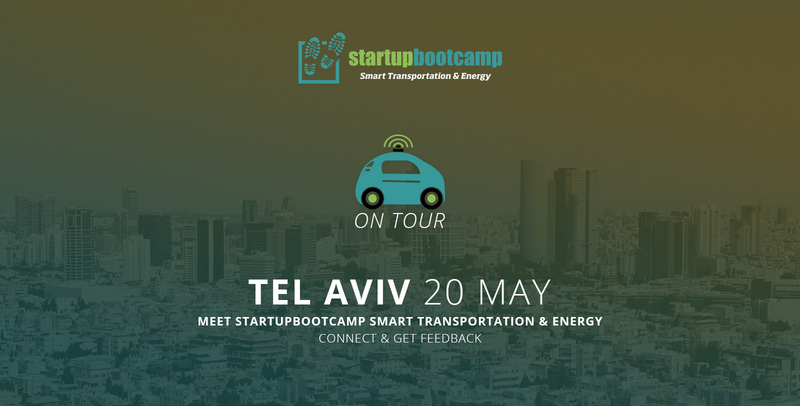 Startupbootcamp Smart Transportation & Energy will be in Tel Aviv on May 20th to mentor the best startups in smart transportation and energy, and we want to meet you. This is an individualized meetup between our team and your startup. That means we’ll organize a time that is most convenient for you to meet at EcoMotion’s home in Tel Aviv. Your meeting will be a one-on-one mentoring session. You can get your questions answered on topics like fundraising and applying to an accelerator. We’ll also tell you more about our industry-focused accelerator that we run in Berlin, Europe’s bustling and burgeoning startup scene. Click the green JOIN EVENT button on this page and fill out the getfeedback form. We’ll get back to you to arrange a time to meet after we have received your form.